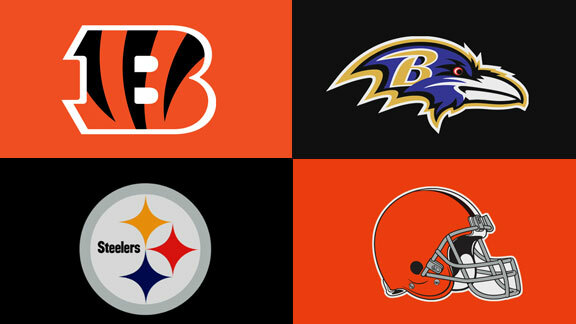 Today I look at the AFC North. The Ravens never completely recovered in 2012 from the retirement of Ray Lewis. Inside linebacker Daryl Smith led the team in tackles, but the other inside position was a revolving door. C.J. Mosley should fix that issue. Mosley was the top inside linebacker in the draft. He does a great job dropping into coverage and can stay on the field all three downs. Mosley moves well and chases the play sideline to sideline. He should be a day one starter next to Smith. Timmy Jernigan is a player that could give the Ravens a versatile defensive lineman. You would think with his size that his best fit would be at nose tackle, but it looks like the Ravens are looking him to play defensive end in their 3-4 alignment. I think Jernigan has the movement skills to be productive as a 5 technique. He goes into training camp behind Brandon Williams and Chris Canty at defensive end. I believe he’s a guy that could be part of a rotation at both defensive end and nose tackle and move inside to rush the passer in nickel situations. Terrence Brooks is a true center field safety. He is a fluid athlete with good speed. Brooks is an aggressive player that is always around the ball. Darian Stewart is the starter at free safety, but I believe it won’t be long before Brooks teams with last year’s 1st round pick Matt Elam to give the Ravens one of the best safety tandems in the league. I love the Crockett Gillmore pick. He doesn’t blow you away with measureables, but he is a fluid route runner. Gillmore improved his draft stock by impressing in the East – West Shrine Game and the NFL Combine. He has a good combination of blocking and receiving skills. Going into training camp, Gillmore will be behind Dennis Pitta and Owen Daniels on the depth chart, but I believe he will see action in multiple tight end sets and will eventually work his way into more playing time. Bent Urban has the long, lean body type that 3-4 times look for in a 5 technique. He has long arms that enables him to bat down passes. Urban has that J.J. Watt type of body, but it will be hard to be as productive as Watt. Urban faces an uphill battle to make the opening day roster. Not only is he behind Williams, Canty and Jernigan, but he also will need to beat out DeAngelo Tyson, Jamie Meder and Kapron Lewis-Moore to get a roster spot. I still think he has an outside chance of making the 53 man roster, but if not he should have no trouble making the practice squad. Lorenzo Taliaferro is a big back that stands out for his versatility. He rushed for over 1,700 yards at Coastal Carolina. Taliaferro really stood out at the Senior Bowl, leading the South Squad with 31 rushing yards and also was the best pass protecting back in practices. He has decent, but not great hands. I think he has a good shot at making the opening day roster with only Ray Rice and Bernard Pierce in front of him. John Urschel is a tough, intelligent, scrappy player. He moves well and has good technique. Going into camp, Urschel will be competing with Jah Reid as the primary backup to starters Kelechi Osemele and Marshal Yanda. I don’t think he will have a problem making the opening day roster. Keith Wenning had a highly productive career at Ball State. He is a competitive player that works hard and has a passion for the game. Going into camp, he will be the #3 QB behind Joe Flacco and Tyrod Taylor. I think he should be able to make the 53 man roster. Mike Campanaro is a small, quick slot receiver. He has short arms and had the smallest wingspan of any receiver at the NFL Combine. Going into camp, Campanaro is the 5th string receiver, so he will have to make a huge impression to make the roster. I look for him to go to the practice squad if he makes the team at all. Darqueze Dennard will be a big upgrade for the Bengals secondary. Dennard’s nickname while in college was “No Fly Zone”. He is a tough, physical corner that loves to press receivers. Dennard stays right in the receiver’s hip pocket and he drives quickly once the ball is thrown. Going into camp, Dennard is behind Terence Newman and Pacman Jones. Newman will be 36 once the season starts and Jones will be 31. I don’t see any way Dennard isn’t the day one starter. Jeremy Hill is a big, powerful running back that excels at pounding the ball between the tackles. His top end speed isn’t great, but he had several break away runs at LSU. The big question with Hill are three different arrests while at LSU. If Hill can get his life together, he has a good chance to be a big-time contributor for the Bengals. Hill will go into camp behind Giovani Bernard on the depth chart. Bernard is a smaller back and Hill would be a good change of pace back. Will Clarke is an active defensive end with decent pass rush ability. Many 3-4 teams were interested in him to play as a 5 technique, but the Bengals play a 4-3 scheme. The Bengals are loaded at defensive end. I would think Clarke would make the roster, but going into training camp, he is 3rd team. He will be battling starters Carlos Dunlap and Wallace Gilberry and backups Margus Hunt and Robert Geathers for a roster spot. Russell Bodine is a gritty, versatile player that can play both center and guard. He is a very strong player that had a combine best 42 bench press reps. Going into camp, Bodine is running second team behind starter Trevor Robinson at center. He shouldn’t have a problem making the 53 man roster. The AJ McCarron pick is interesting. Despite three straight trips to the playoffs, the critics of quarterback Andy Dalton are becoming very vocal. The knock on Dalton is his performance in the playoffs. McCarron on the other hand has been a member of two national championship teams. Some people refer to McCarron as strictly a game manager, but he is much more than that. McCarron reads defenses well, makes good decisions and takes care of the ball. Going into camp, McCarron is behind Dalton and Jason Campbell on the depth chart. McCarron should be on the opening day roster, but unless there are injuries he should be given some time to develop. Marquis Flowers is a fast, athletic safety that flies all over the field. He may have a hard time making the roster with Jayson DiManche, Vontaze Burfict, Brandon Joiner and Sean Porter ahead of him on the depth chart. He is likely a developmental project that will go to the practice squad. James Wright was mostly a special team’s player, but he had a very good pro day, which caused the Bengals to take a flier on him in the 7th round. It will be extremely tough for Wright to make the roster with AJ Green, Marvin Jones, Dane Sanzenbacher, Mohamed Sanu, Brandon Tate and Ryan Whalen all ahead of him on the depth chart. It’s possible that he could make the practice squad and allowed to develop. Lavelle Westbrooks is a raw corner that lost weight to move from safety to corner. He does a good job in press coverage, but he will have a tough time make the roster. Going into training camp, he is a 5th string corner, so he likely will go to the practice squad. The Browns secondary should be one of the better units in the NFL with the selection of Justin Gilbert. The Browns already had Joe Haden on one side. Adding Gilbert will make the Browns a tough team to throw the ball against. Gilbert is a true press cover with good size and 4.37 speed. Gilbert can also contribute in the return game. Going into camp Gilbert is listed as the starter and should remain that way into the season. Brian Hoyer played well for the Browns last year, but he was hurt much of the year. I’m not sure that Hoyer is the long term answer, but I’m not sure Johnny Manziel is either. I don’t believe Manziel’s game translates to the NFL. I believe his lack of size and tendency to throw the ball up for grabs will become an issue at some point. I would have much rather had Derek Carr or Jimmy Garoppolo. Manziel will go into camp backing up Hoyer. It will be interesting to see when the Browns decide to put Manziel on the field. Joel Bitonio is an underrated offensive lineman. Bitonio played left tackle at Nevada and shut down some very impressive pass rushers, including Anthony Barr. It looks like Bitonio will slide inside and will start at the left guard position. Iowa had three very good linebackers in this draft. Christian Kirksey played on the outside for the Hawkeyes, but it looks like he will move inside for the Browns. He doesn’t have great size, but he runs well and should be a sideline to sideline player for the Browns. Going into camp, Kirksey is listed as a backup to Karlos Dansby and Craig Robertson. He shouldn’t have a problem making the opening day roster. Terrence West is a powerful, compact running back that does a good job running the ball between the tackles. Going into camp West is behind Ben Tate and Dion Lewis on the depth chart. I think West will make the 53 man roster and with Tate’s injury history, he could get some chances to run the ball this year. Pierre Desir was the second corner drafted by the Browns. Desir has the size and arm length that today’s NFL is looking for in a corner. Having played at a small school, Desir may need some time to adjust to the NFL game. Going into training camp, he will be competing with Leon McFadden, Buster Skrine and Isaiah Trufant for a backup spot. Whether or not he makes the team may depend on how many corners the Browns keep. I think he has a decent shot at making the opening day roster. Ryan Shazier was an outside linebacker for the Buckeyes, but it looks like the Steelers may move him inside. Shazier had a combine best 42” vertical jump and ran a sub 4.4 40 yard dash at his pro day. He will add speed and athleticism to a defense that was getting long in the tooth. Shazier’s pass rush ability will also give them a weapon attacking the A gap on passing downs. Going into camp, Shazier is penciled in as the starter next to Lawrence Timmons at inside linebacker. He should be the opening day starter. Stephon Tuitt was a typical Steeler pick and is a great fit for their 3-4 defense. Tuitt gives them versatility to play on the outside or to move over the guard on passing downs. His 6’5” frame and long arms make him tough to throw over. Tuitt goes into camp as the backup to Cam Thomas and Cameron Heyward. He should be a part of a rotation at defensive end and could be an effective rushing the passer from the inside on passing downs. Dri Archer, though technically a running back, played all over for the Golden Flashes. Archer could be used similar to the way Dexter McCluster has been used. He is a very good receiver and can be a productive slot receiver. Going into camp Archer will is listed behind Le’Veon Bell and LeGarrette Blount at running back. I think Archer will be a very good change of pace to the bigger backs and will make his living on 3rd down. He should have no problem making the 53 man roster. Martavis Bryant has a great combination of size and speed. He is a big time threat in the red zone, but his best year was only 42 catches in 2013. Bryant will need to work on his route running and concentration to make a contribution at the next level. Bryant goes into camp as the 5th receiver behind Markus Wheaton, Antonio Brown, Justin Brown and Lance Moore. Because of his physical attributes, he will likely nail down the last receiver spot on the roster, but he could be sent to practice squad to hone his skills. Shaquille Richardson is a fast, athletic corner. Richardson contributed to a win over Oregon by tipping an interception from out of bounds to be picked off, then followed that up with a late game interception. However, he was benched in 2012 for inconsistency and he will need to work on that area of his game if he makes it in the NFL. Going into training camp, Richardson is the 5th string corner. I expect him to go to the practice squad to work on his game. Wesley Johnson is a versatile player that has played tackle, guard and center. He played left tackle his last two years for the Commodores. Johnson is athletic, but needs to work on his strength at the point of attack. Going into camp, Johnson is competing with David Snow as the backup to starters Ramon Foster and David DeCastro. He has an outside chance at making the 53 man roster, but he is likely to go to the practice squad. Getting Jordan Zumwalt in the 6th round is a steal. Zumwalt is a typical Steeler player, fiery, competitive and an explosive hitter. He is always around the ball. Looking at the depth chart, it looks like the Steelers may try to move him outside. Zumwalt will have to beat out Arthur Moats or Chris Carter to get a backup position on the 53 man roster. I think he has a good chance at being on the team, but if he doesn’t make it, he is a shoo in for the practice squad. Daniel McCuller is a massive 6’7” 352 pound nose tackle. McCullers does a good job in spurts, but tends to get winded and can play too high, losing leverage. Some scouts actually suggested a move to offensive tackle because of his size. It looks like the Steelers may keep him at nose and he may have a good chance at making the roster as the backup to starter Steve McLendon. Rob Branchflower is a good combination of blocker and receiver. He won’t beat anyone deep, but had good production at UMass, graduating as the school’s all-time receiving leader for a tight end. Going into camp Branchflower is the 5th tight end, so it may be tough for him to make the roster, but he seems like a Pittsburgh type player, so look for him to go to the practice squad. Next Wednesday, I will be posting my analysis on the AFC South. If you like what you read, please like us on Facebook and recommend us to your friends. This entry was posted on July 16, 2014 by draftmaniacs in Draft Analysis and tagged 2014 NFL draft, AFC North, AFC North draft, Aj McCarron, Baltimore Ravens, Baltimore Ravens draft, C.J. Mosley, Cincinnati Bengals, Cincinnati Bengals draft, Cleveland Browns, Cleveland Browns draft, Darqueze Dennard, Jeremy Hill, Johnny Football, Johnny Manziel, justin gilbert, NFL, NFL Draft, Pittsburgh Steelers, Pittsburgh Steelers draft, Ryan Shazier, Stephon Tuitt, Timmy Jernigan.